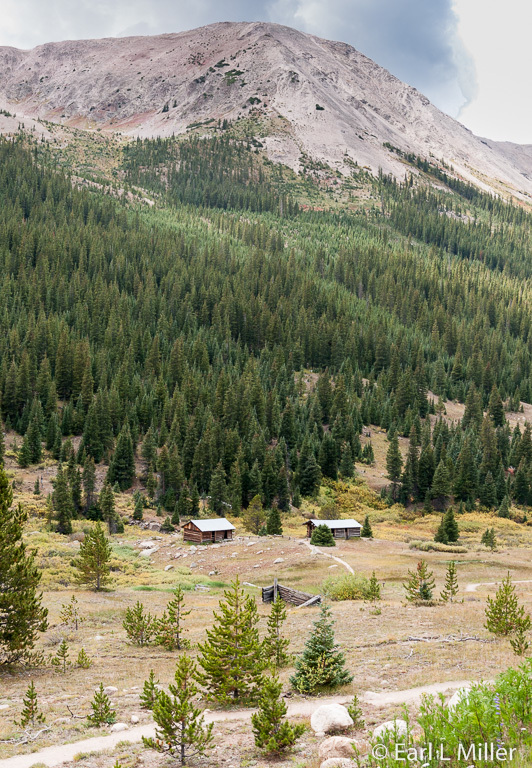 South of Leadville, you’ll find the tiny village of Twin Lakes. It’s the gateway leading to Independence Pass and Aspen. As you proceed over the pass, you’ll want to stop to view Independence, a ghost town. 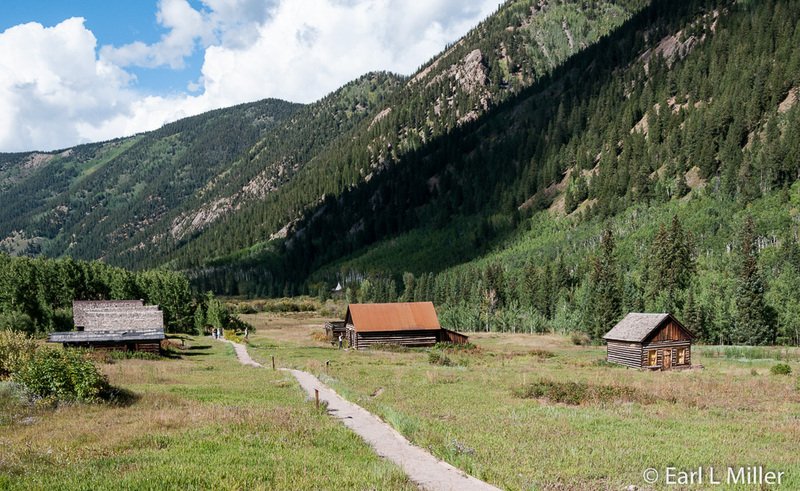 Near Aspen, you can hike through Ashcroft, another ghost town, and admire the Maroon Bells, a noted photogenic area. 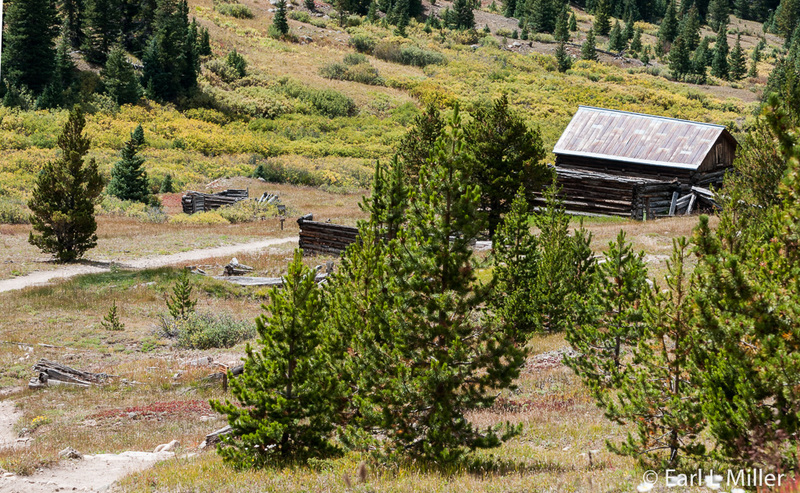 Before heading over Independence Pass, you’ll find the Twin Lakes Inn, built in 1879. 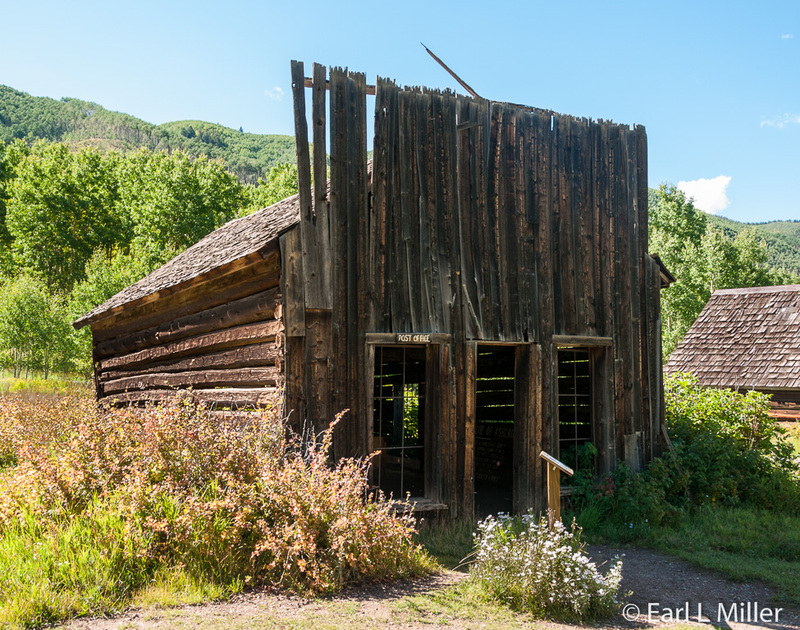 It was once a stagecoach stop on the way to Aspen and also served as a brothel. It’s now the site of the Dayton Room, an excellent stop for lunch for salads and sandwiches. All orders are eight to ten dollars except for the half pound burger, which costs more. We had grilled chicken with Applewood smoked bacon and Swiss cheese on Challah bread. Delicious! Dinners feature mostly gourmet food at prices which reflect this. These range from $18 for a rice-falafel cake to a New York strip steak for $32. The inn’s Malamute Saloon has a full service bar. The original inn only had three guestrooms. Twin Lakes Inn now houses eleven rooms, including four with private baths. Over the years, its name changed from Sportsman’s Lodge to Twin Lakes Nordic Inn, and finally to Twin Lakes Inn. At one time, it was also called the Inn of the Black Wolf, when wolves were raised behind the hotel. It’s located at 6435 Highway 82 in Twin Lakes. Their telephone number is (719) 486-7965. They are closed from fall to Memorial Day. Part of Colorado’s 25 Scenic Byways, Highway 82, which is also known as the “Top of the Rockies,” offers incredible views as you drive the 44-mile two-lane road between Twin Lakes and Aspen. It’s the second-highest pass with an improved road in the state and the highest paved crossing of the Continental Divide in the nation. It’s also a National Scenic Byway. Originally called Hunters Pass, in 1882, this route was first established as a toll road charging 25-cents for saddle horses and 50-cents for two-horse wagons and stagecoaches. 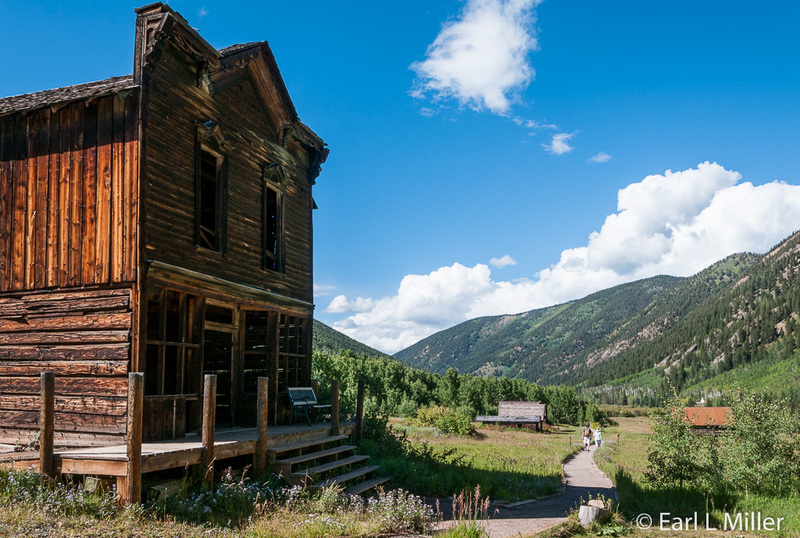 Once the railroad reached Aspen in 1888, the road was abandoned and neglected. In 1927, the state of Colorado replaced it with Highway 82. During 1967, they paved it. While driving the first few miles, you’ll parallel Twin Lakes Reservoir’s northern shore, consisting of two interconnected lakes, at the mouth of a narrow valley, framed by snow-capped peaks. The lakes are noted for fishing, boating, and picnicking. After rounding the furthest lake’s western end, you’ll follow Lake Creek, for 12 miles, as it passes through a valley bordered by wooded mountain slopes. You’ll then drive past two campsites, surrounded by forests, before moving into more open land. Finally, you’ll drive on a gradual, then much steeper ascent up the mountainside. After traveling several long switchbacks, for more than four miles, Highway 82 leads to the Summit at Independence Pass. Located at 12,095 feet, it marks the Continental Divide. There are no visitor facilities here. But you can park your car then take a short, paved loop path to two overlooks of Lake Creek Valley and its surrounding peaks. On the right is Mount Elbert, Colorado’s tallest mountain while on the opposite side stands La Plata Peak, the fifth tallest in the state. Another hiking option is the 2-mile trail following the Continental Divide to an unnamed peak that’s 700 feet higher in elevation. The habitat here is alpine tundra as the treeline is 1,000 feet lower. Four miles west of the Continental Divide and 19 miles from Aspen, stop and explore Independence. Since it is a steep hike down to its actual location, you may want to observe it from the pull-off which has descriptive roadside signs about the town’s history. West of the Divide, you’ll find Highway 82 descends at a 6 percent grade to the upper end of Roaring Fork River. It then follows a thick woodland, of Lodgepole pines and Aspen trees, for 20 miles to Aspen. You’ll discover the western section of the pass is generally narrower and has more bends then its eastern portion. Some areas are single-lane due to rock falls. Plan on taking a minimum of 90 minutes to drive this route, not including stops at the pass’s Summit and Independence. The road has some restrictions. Because of weather conditions and maintenance, Independence Pass closes from mid November to about Memorial Day. Vehicles and vehicle combinations more than 35 feet are always prohibited from driving Highway 82 between Twin Lakes and Aspen. The Utes were the area’s first residents. They seasonally followed the animals that fed and clothed them. In 1879, the Roaring Fork Valley opened for stake claims. As a result, the Utes were relocated in 1880 to reservations in Utah. Prospectors discovered gold on July 4, 1879 which gave the town of Independence its name. Shortly after that, a tent city was established four miles to the west. During the summer of 1880, 300 people lived at the camp. By 1881, the Farwell Consolidated Mining Company had acquired most of the area’s producing mines. The company also operated the Farwell Stamp Mill and a large sawmill. During their first year of operation, the mines produced nearly $100,000 worth of gold. The area continued to grow, and the following year, Independence had 47 businesses and a population of 500 people. During the years 1881 and 1882, area mines produced more than $190,000. This resulted in the town reaching its boom in 1882 at an estimated 1,500 residents. Most either worked for the company or served the traffic between Leadville and Aspen. 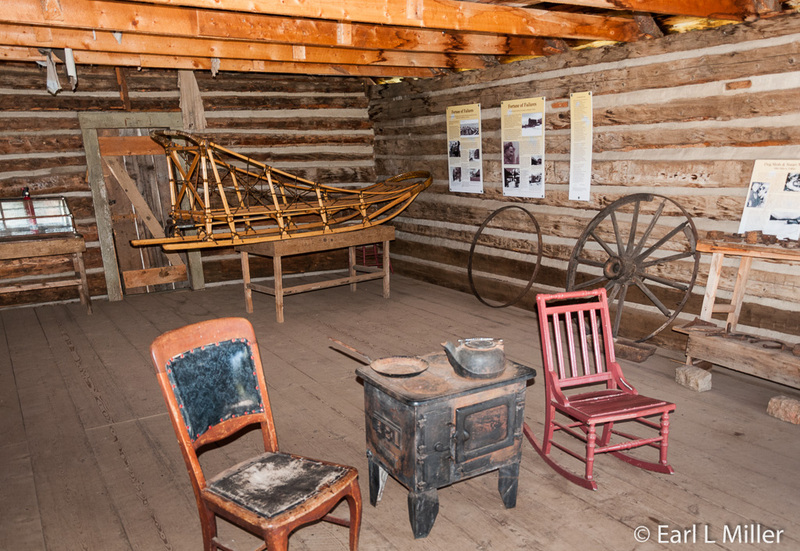 It took two to three days to travel between Leadville and Aspen during the summer and up to five days in the winter so Independence became a stagecoach stop. Although prospectors searched for a big strike, none was ever found, and the gold lode’s veins became exhausted in a few years. By 1883, production dropped to $2,000, and by 1888, only 100 citizens remained in Independence. Some miners moved to Green Mountain or into Lincoln Creek. Most left for Aspen. The last blow was a series of major snowstorms in February of 1899 which cut off the town’s supply routes. The few remaining miners and their families were running out of food. They dismantled their homes, made 75 pairs of cross country skis out of wood planks, and escaped en masse to Aspen. One person remained behind. They tried to make light of their situation by calling it a race of the “Hunter Pass Tenderfoot Snow Shoe Club” (10-12 foot skis with a leather foot strap). The entry fee was one ham sandwich. As you stare down at the buildings from the parking lot, you can see some of the remains of Independence. They’re located in a 40-acre area along the north slope down to the river. A total of 26 remain in some form, with eight of these intact. All are log cabins which vary in size. Some are without roofs. The rest are just foundations. What you’ll see by hiking the site is the commercial area of 19 buildings and nine foundations. It’s speculated that the large building you’ll view was a 10,900 foot general store. Another large building, you may spot, is J. B. Conner’s Boarding House. He was the first person thought to erect a cabin. Independence boasted of many hotels and boarding houses where travelers could rest and miners resided. You’ll also spot the remains of Farwell Stamp Mill about .3 miles from the town site. Its area contains the remaining nine structures on 4.3 acres. The original mill, built in 1880, was supplanted by a newer and larger mill in 1882 housing 30 stamps. The first one burned down in 1912. The second was mostly dismantled during the early 20th century. Its wood was used for building materials though a number of its supporting timbers are still visible. Independence and Independence Mill Site have been listed on the National Register of Historic Places since 1973. 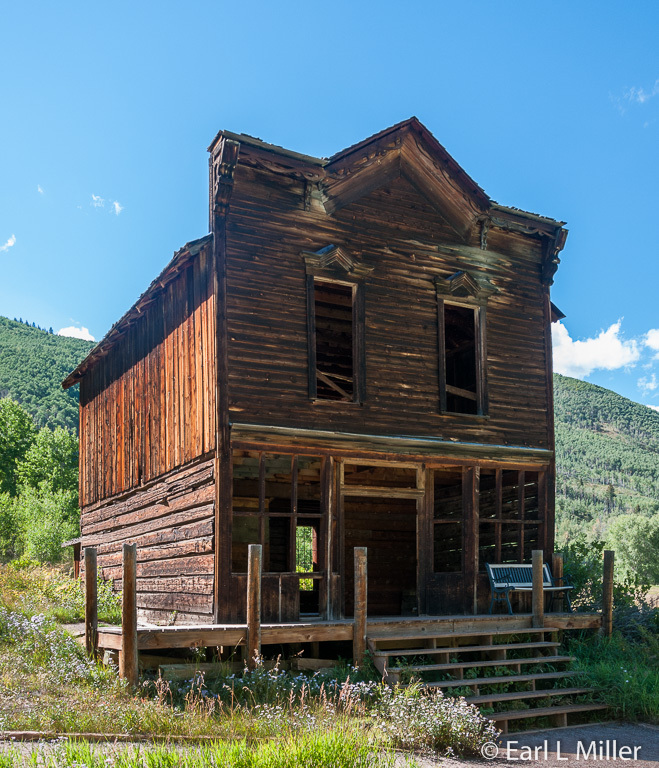 Officially a ghost town since 1912, it has been known historically by other names - Chipeta, Mammoth City, Mount Hope, Farwell, Sparkill, and Hunter’s Pass. It’s maintained by the Aspen Historical Society. For more information, call (970) 925-3721. 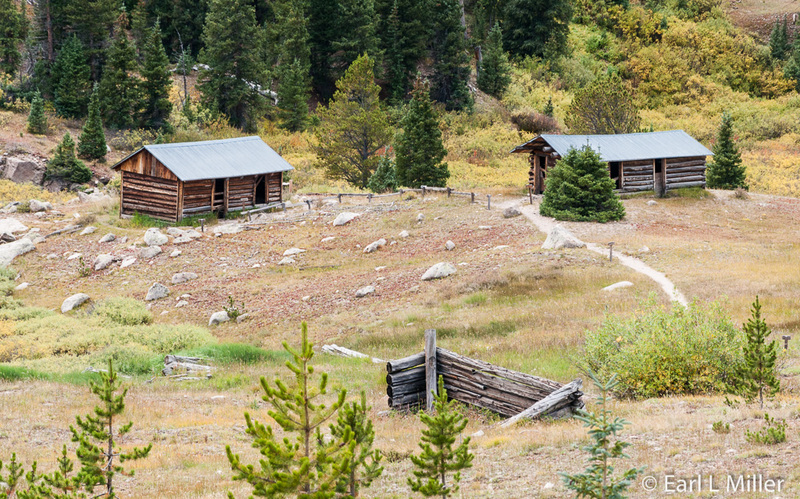 Charles B. Culver and W. F. Coxhead left Leadville to search for silver in Castle Creek Valley in the spring of 1880. After finding a deposit, they returned home to promote their finding. When Culver returned to the valley, he found 23 more prospectors had joined the camp they called Castle Forks City. In just two weeks, they formed a Miner’s Protective Association, built a courthouse, and laid out streets. Each of the 97 members paid $5, or one day’s work, and $1 to draw for building lots. The camp received a new name, Ashcroft, after a rich ore strike was uncovered in the Montezuma and Tam O’Shanter Mines. These mines were partially owned by Horace Tabor. In that year, the town had a population of around 2,000, two newspapers, a school, sawmills, a small smelter, and 13 saloons. It was bigger than Aspen. Tabor and Baby Doe supposedly visited Ashcroft in 1883, hosting a grand ball and banquet. He also reportedly bought rounds of drinks for everyone in each of the town’s saloons. In 1884, the town peaked at 3,500 people. It now had six hotels and 20 saloons. Initially, the mines produced 14,000 ounces of silver to the ton. However, these were just shallow deposits. The competition of Aspen’s major strikes and the 1893 silver market crash destroyed the town. 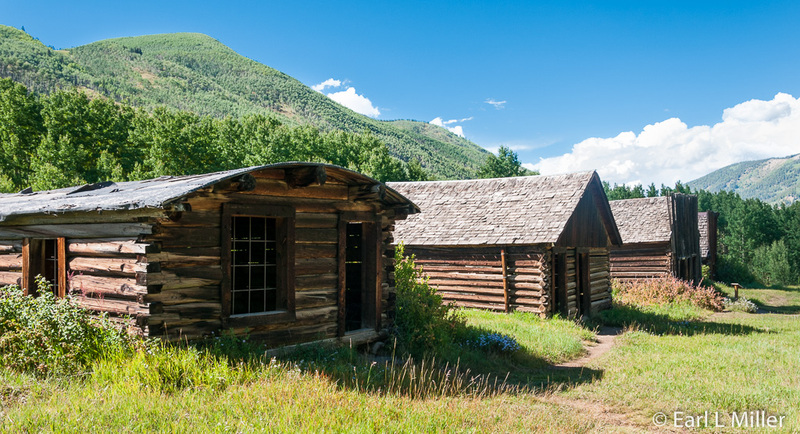 In 1884, many families moved to Aspen taking their cabins with them. During the next year, only 100 summer residents remained along with a paltry $5.60 in the town’s treasury. By 1900, only a handful of aging, single men remained. 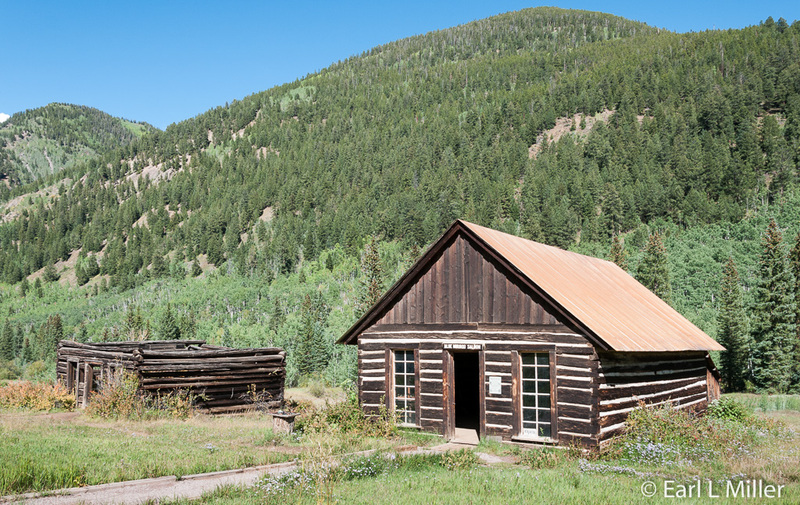 They all owned mining claims but instead of prospecting, they spent their time hunting, fishing, reading, and drinking at the Dan McArthur’s saloon, The Blue Mirror. They elected municipal officers every four years from among themselves. By 1912, there were 50 residents. “Judge” Jack Leahy, who died in 1939, was the last original citizen. In the 1930's, international sportsman, Ted Ryan, and his partner, Billy Fiske, former captain of the USA 1928 gold medal Olympic bobsled team, developed a new interest in Ashcroft. 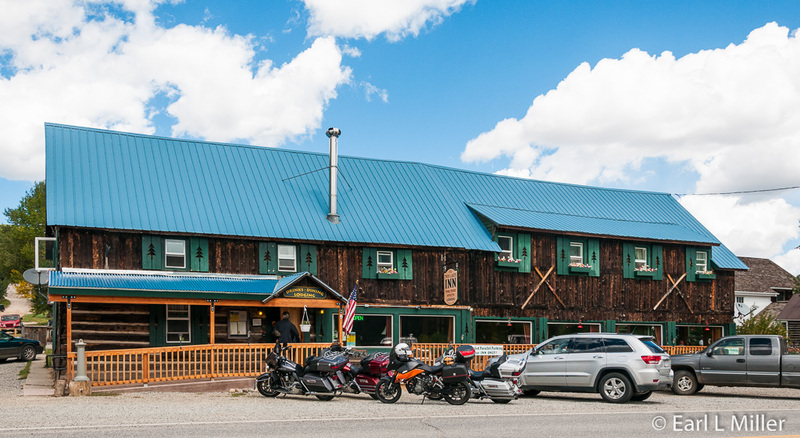 They built the Highland Bavarian Lodge, five miles north of Ashcroft on Castle Creek Road, and had plans for a European-style ski resort with an aerial tramway leading up to Mount Hayden. Fiske was killed in World War II. Ryan then leased Ashcroft for $1 a year to the 10th Mountain Division for mountaineering training during the summer of 1942. After the war, he deeded it to the United States Forest Service. Do you remember the 1950's television program “Sgt. Preston of the Yukon” which ran from 1955 to 1958? Ashcroft has ties to that show. In 1948, Stuart Mace, a World War II veteran and commander of a canine division, at Ryan’s request, brought his family and dog sled operation to Ashcroft. Mace and his huskies were featured in that show after the buildings were refitted with false fronts creating a Canadian set. Mace was given five acres in exchange for caretaking on behalf of the Highland-Bavarian’s remaining holdings. He acted as Ashcroft’s steward, devoting the rest of his life to protecting the area from development and restoring the ecology. In 1974, the Aspen Historical Society, who currently operate the site, joined his effort and the town became a National Historical Site. Mace died in 1993. Today Ashcroft features ten restored buildings including three in their original condition. It’s an easy, half-mile walk back to where the other nine are. Since, at their entrance, they’re surrounded by woods, this is the only way to see them. You’ll see signboards as you stroll along the dirt path. These explain such topics as the Mace family, mining accidents, the food residents ate, the remaining residents, and the Utes who originally lived in the area. You’ll first encounter what’s billed as the blacksmith shop which was not original. Next you’ll find four structures on the right. These were the old mercantile store, post office, and two that aren’t original. The post office building did not serve the town until its population shrunk. Feel free to go inside. Opposite those, on your left, you’ll spot the remains of two saloons including the Blue Mirror. You can enter that one and read additional signboards. They’re followed by what was Joe Sawyer’s cabin. At the end of the path is the two-story Hotel View, one of the best preserved structures. You can go inside but are not allowed to go upstairs. Stairs and a ramp lead to the entrance. The ghost town is open Thursday through Monday, 9:00 a.m. to 5:00 p.m., from July through September with an admission of $3 per person. You pay at the building where you park. It’s also the place to obtain a booklet with a map of Ashcroft as well as one of Independence. Ashcroft is located 11 miles south of Aspen on Castle Creek Road. The Maroon Bells are two peaks in the Elk Mountains, Maroon Peak and North Maroon Peak, which are separated by about a third of a mile. They’re located about 12 miles south of Aspen in the Maroon Bells-Snowmass Wilderness of White River National Forest. Maroon Peak stands at 14,163 feet while North Maroon Peak is 14,019 feet. They received their name because of their color and shape. The Maroon Bells are composed of soft red shale and a paler siltstone called the “Maroon Formation.” Their tiny iron particles oxidized (rusted) causing the red color. People are warned about climbing or hiking on Maroon Bells since the soft shale breaks very easily and has caused many deaths and injuries. The Maroon Formation, more than 290 million years old, was formed from deposits from streams, lakes, and inland seas. These, 10,000 feet thick layers, were first compressed under lots of pressure then lifted up with the rest of the Rockies around 34 million years ago. 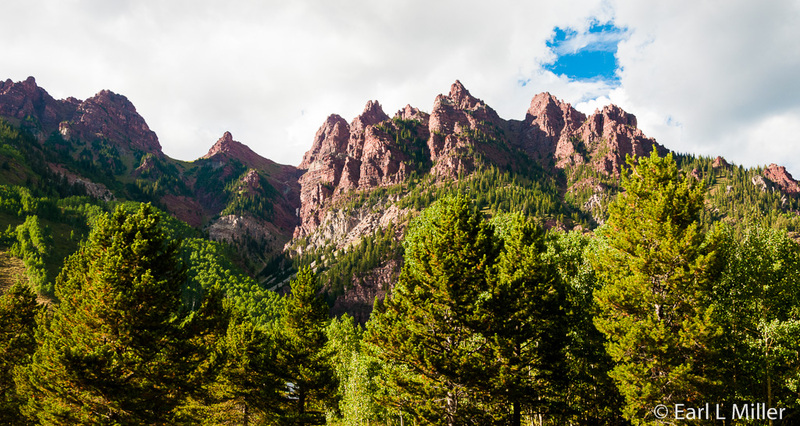 It was this uplift, along with geologic faulting, that gave the Maroon Bells their height. Erosion gradually shaped their peaks and ridges. The valley was formed by Ice-Age glaciers followed by landslides and erosion from wind, water, and ice. Mud and debris slides from Sievers Mountain, which lies to the west, dammed West Maroon Creek creating the lake. The Colorado Division of Wildlife stocks the lake. The view of the Maroon Bells to the southwest from the Maroon Creek Valley is touted as one of Colorado’s most famous scenes and most photographed spots. The best time to shoot the area is during the morning when the lake reflects the nearby mountain peaks. We arrived in the afternoon and found the shot backlit with no mirror images to be had. At Maroon Bells, there is a variety of recreation. You can take one of four hikes ranging from one to 3.6 miles, picnic, photograph, or just enjoy the view. There are no vending machines or concessionaires at the site. Public restrooms are located near the bus drop off/pick up points. Access by car has become limited at Maroon Bells. With only a few exceptions, you cannot drive to them from 9:00 a.m. to 5:00 p.m. Guided bus tours, running throughout the day, are the ONLY way to see them. We learned that bus drivers point out areas of interest and geographical features, describe the wildlife, and tell you some of the area’s history on the way to the Maroon Bells. This can be a plus. The easiest way to catch a bus is to purchase tickets from Outside Four-Mountain Sports at the base of Aspen Highlands Village, 115 Boomerang Road. Buses run daily from this store from mid June through Labor Day. After Labor Day through September, they follow this route on Fridays, Saturdays, and Sundays only. Parking is free at Aspen Highlands Village Parking. Departure times from the Aspen Highlands are as follows: From 9:05 a.m. to 2:05 p.m., they leave every 20 minutes. From 2:30 a.m. to 4:30 p.m., it’s on the hour and half hour. Return buses run from 9:30 a.m. to 2:10 p.m. every 20 minutes, then on the half hour from 3:00 p.m. to 5:00 p.m. The last bus departs Maroon Day Lake Use Area at 5:00 p.m. When you leave your bus at Maroon Bells, take all your belongings, since you can return on any later bus. You can also buy tickets from Rubey Park Transit in downtown Aspen. You can take their free Castle Maroon bus to Aspen Highlands. These depart from the transit every 20 minutes. Bus tour rates are $6 for adults and $4 for seniors and for children ages 6-16. There is no charge for youngsters under age six. On Wednesdays, the cost for everyone is $3. You can purchase a combination ticket for $27 at Aspen Mountain Gondola Ticket Office. There are some exceptions which allow automobile access. You can drive your car there before 9:00 a.m. or after 5:00 p.m. If you have a Handicap placard or license plate, traveling with infants requiring a restraining child seat (not a booster seat), or camping at Silver Bar, Silver Bell and Silver Queen Campgrounds, you don’t need to take a bus. After Labor Day, through September, you can drive to the Maroon Bells from Monday through Thursday any time. After that date, if the weather permits, you can drive any day of the week until the winter when the road to the Maroon Bells is closed. 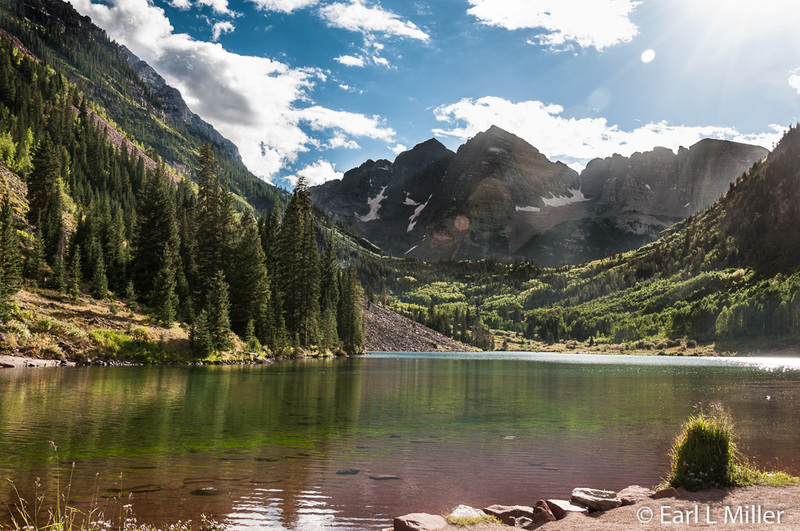 The United States Forest Service charges a $10 recreation use fee for driving to the Maroon Bells. If you have a National Parks pass, they don’t charge a fee.